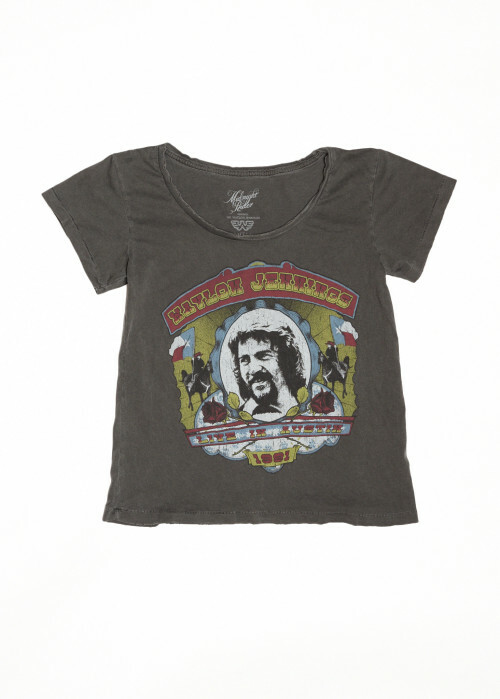 “Dance to the strings of your shame and my sorrow, I’ll take you home when it’s over…” Inspired by our love for vintage concert tees, this Waylon Jennings graphic is printed on a women’s crewneck t-shirt. Want that true vintage cut and feel straight from the 70s? We got it with a distressed collar, cut sleeves and hem. Proudly made in the USA, This bad boy is 100% soft and 100% rad.